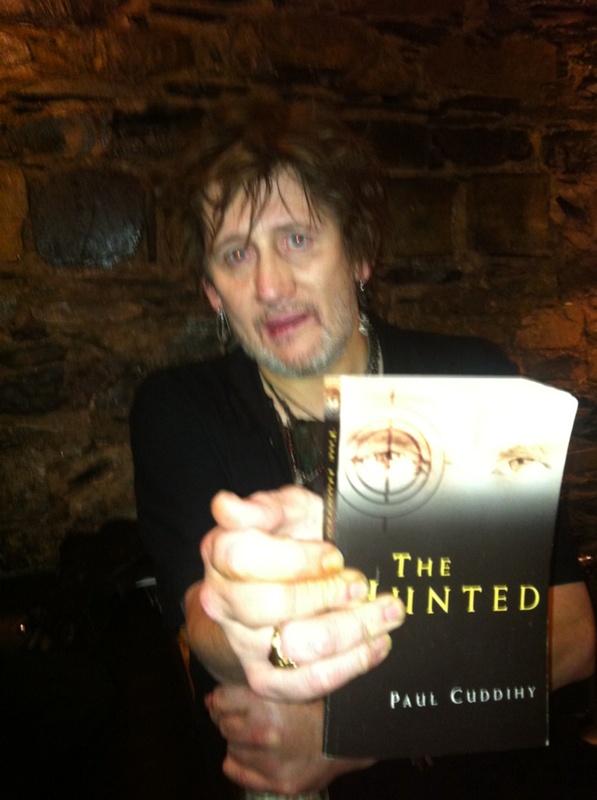 There’s nothing quite like a celebrity endorsement for your book, and it doesn’t get much better than Shane MacGowan, songwriting genius and former frontman of The Pogues. Shane got a copy of The Hunted from top songwriter and record producer, John McLaughin, who also happens to be a friend of mine. And apart from snapping Shane with the book, John also played him the songs that I’ve written which are connected with the novel – The Ballad of Dan Foley, Kate’s Song and The Hunted. John’s a big fan of the songs – at least, that’s what he tells me! – and he wanted to let Shane hear the songs, with the prospect of working on them and other possible songs connected with the novel. So now all I’m waiting on is a call from Hollywood and we’ll have the soundtrack, featuring Shane MacGowan, all ready to rock ‘n’ roll! The Ballad of Dan Foley, in particular, features in The Hunted, and you can have a listen by checking out the Launch Night Videos in this section of the website. I also wanted to write a theme song for the book – I’m trying to lead the way in literature – so here is a studio version of The Hunted for you to listen to as well. You can also download it and put it on your iPod.